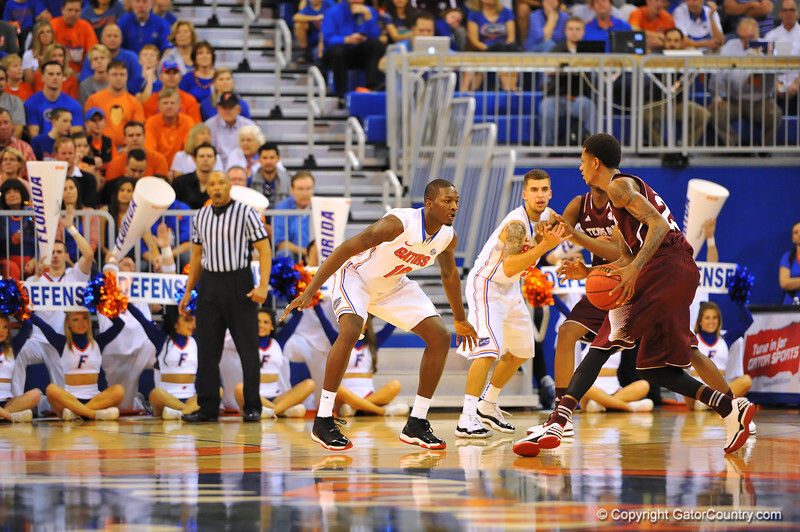 Florida forward Dorian Finney-Smith back on defense during the second half. Florida Gators vs Texas A&M Aggies. Feb 25th, 2014. Gator Country photo by David Bowie.